Autry National Center of the American West, Los Angeles. Photo by Pamela Tartaglio. 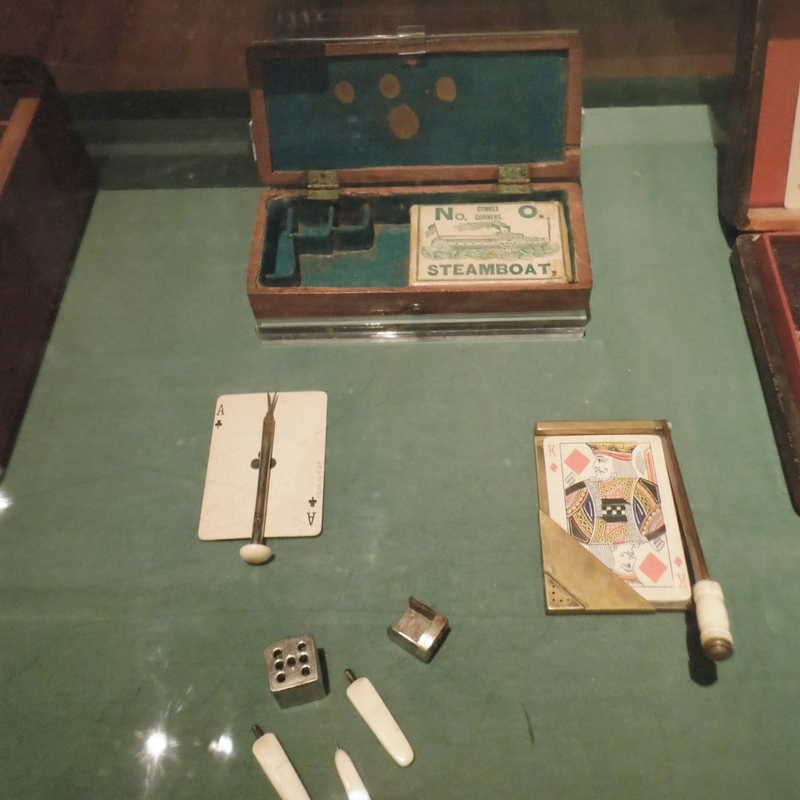 The implements of a cheating gambler fit inside this box. Because he was serious about winning at any cost, he was probably a roving gambler. The large pin with the ace is a “bug.” The ends are sharp and could spear the underside of the table and hold the card. The other card is in a card trimmer. It looks like a miniature paper cutter. The drills and metal guide are to load dice. 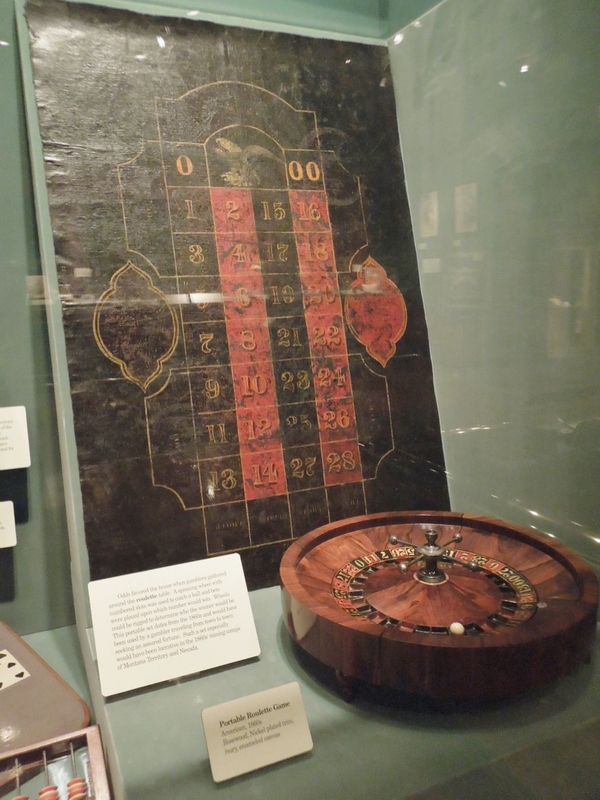 Cheating gamblers drilled holes on the black dots of one side and filled them with a heavy metal such as gold. They painted a new black dot on top of each one they altered. When rolled, the dice were more likely to land with the heavy side down. A gambler’s opponents were often armed with a derringer or dagger, so it astonishes me that the owner of this cheating set had his initials put on the box, along with the year (JMD 1867). The box does not lock. It has a simple hook latch, and might fall open if dropped, and it could be opened by anyone, such as someone who just lost a bundle to Mr. JMD. 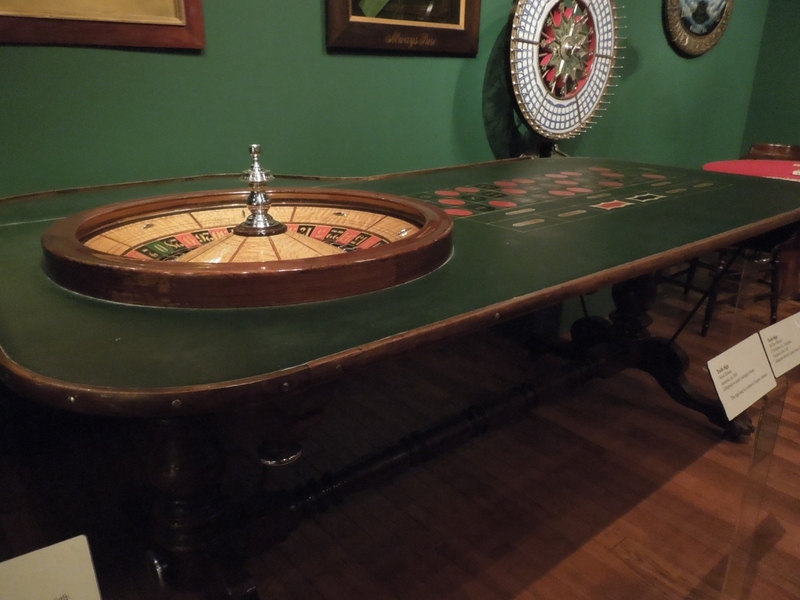 He could have marked his box discreetly, like he did cards and dice, to tell it apart from boxes of other gamblers. He risked getting shot by having his initials put on this. He liked taking a big risk, and he was one cocky son of a gun.